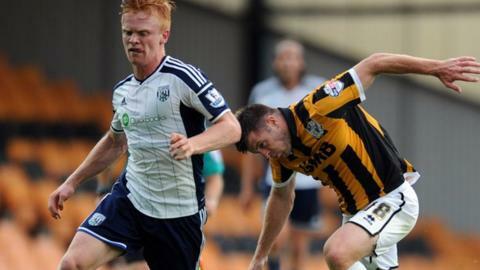 Scunthorpe United have signed West Bromwich Albion midfielder Liam O'Neil in a one-month loan deal. The 21-year-old, who has made five appearances for Albion, will officially join the League One club on Monday and remain with them until 14 December. O'Neil could make his debut for the Iron against Crawley on 22 November. The Glanford Park side are currently 21st in the table under boss Mark Robins, but have won their last two matches in league and cup.